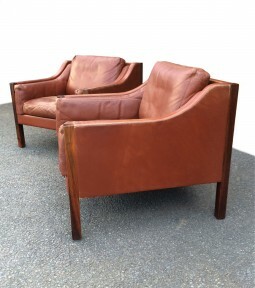 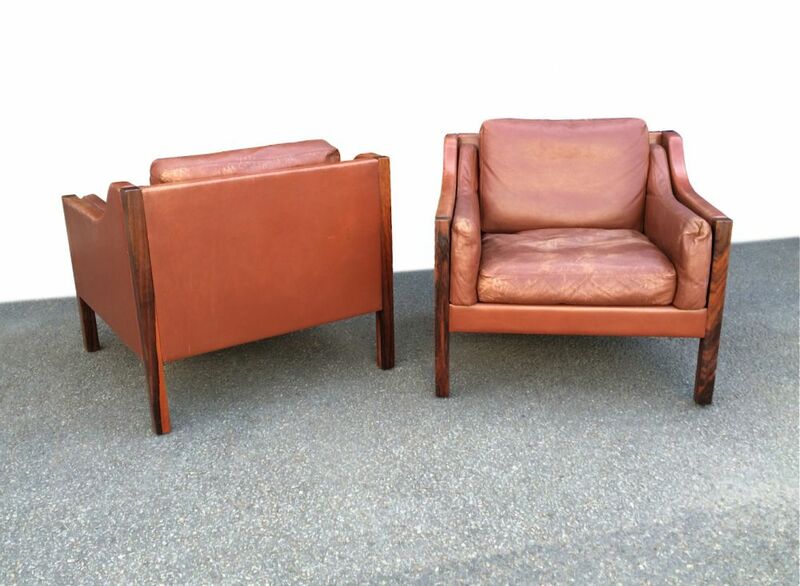 This is a very stylish pair of leather armchairs by the Danish designer - Erik Jorgensen. The leather is a soft brown tan colour and over the years has developed a lived in, used patination. 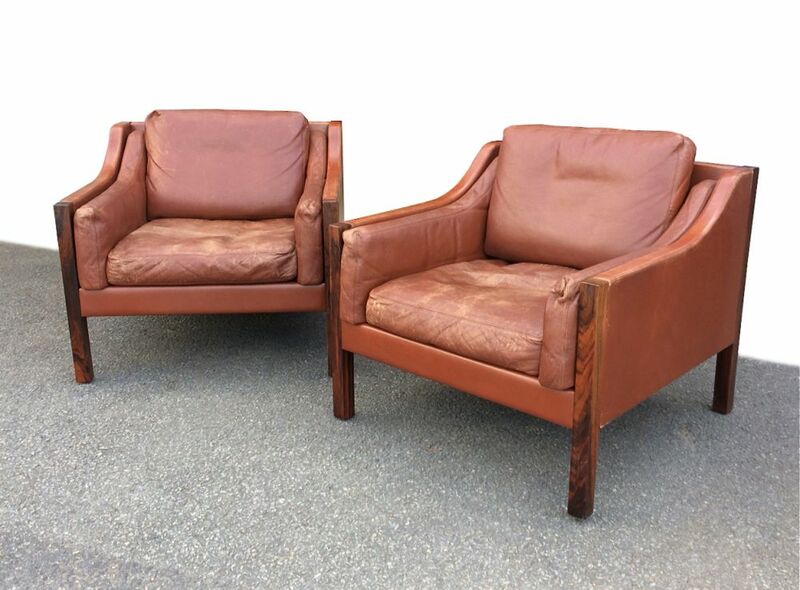 The cushions are partly filled with feathers and are very comfortable. 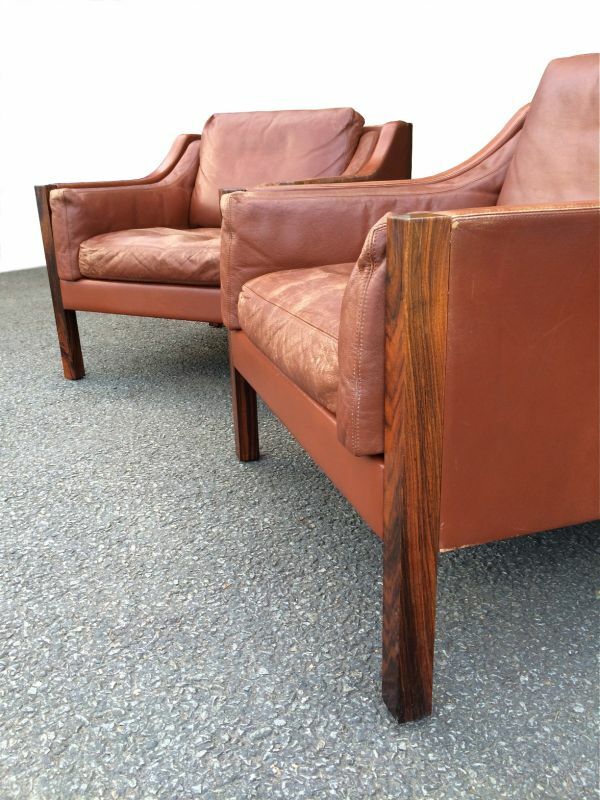 The feature of these chairs are the rosewood legs that extend up to the top of the arms in the corners. The chairs are 76 cm wide, 75 cm deep and 74 cm high. The seat is at 41 cm.